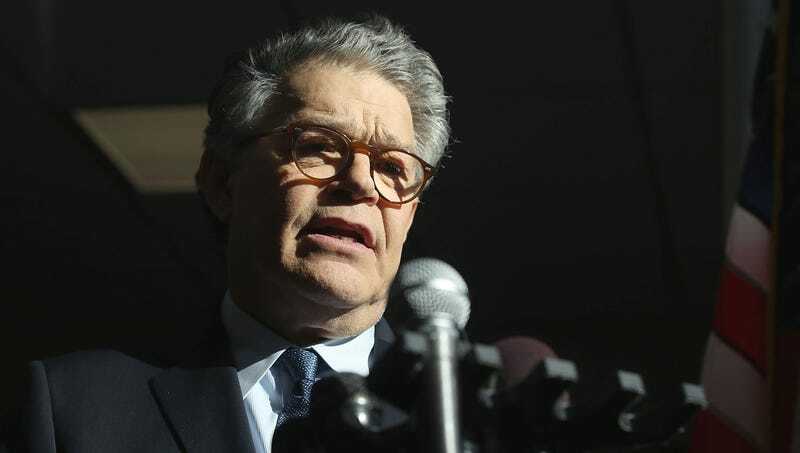 WASHINGTON—Saying he could no longer joke effectively in the Senate, Congressman Al Franken announced Thursday that he was resigning from office, telling colleagues, “I’m deeply sorry for my hilarious actions.” “The things I did, while extremely funny, were also inappropriate and I sincerely apologize for the pain I’ve caused with my gut-busting antics,” said a chuckling Franken, describing the perfectly-timed physical comedy routines he regularly performed on unsuspecting women, such as honking their breasts and planting sloppy kisses on their cheeks as they recoiled. “I can see that my wacky hijinks have offended my colleagues who have no sense of humor, which is why I must step down as senator of Minnesota. To everyone I’ve hurt, I ask that one day you can forgive me for being such a big goofball.” At press time, Franken was struggling to contain his laughter after goosing a journalist who had asked him a follow-up question.